Fifteen pioneering inventors and/or teams have been named as finalists for the European Inventor Award 2014. 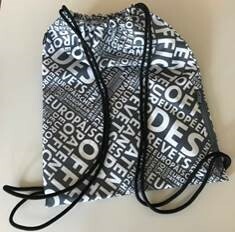 The prize will be presented by the European Patent Office (EPO) at a gala ceremony in Berlin on 17 June. Scientists, engineers and inventors in five categories, whose inventions have made a major contribution towards social, technological and economic progress, will be honoured. Once again the awarding of the Popular Prize, which will be decided by an online vote, promises to be particularly exciting. A total of 300 inventors and inventor teams were put forward for this year's Award, fifteen of whom were selected as finalists by the international jury. This year's inventions cover the fields of biotechnology, construction, environment, mechanics, medical technology and pharmaceuticals, telecommunications and traffic safety. Members of royal houses, presidents, ministers and high-level representatives of the worlds of business, research and industry have attended previous Award ceremonies, attesting to the prestige of the European Inventor Award, which will see its ninth edition this year. "The work of these outstanding inventors is not only proof of Europe's own capacity as a leading innovator in trailblazing technologies," said EPO President Benoît Battistelli. "It also shows that Europe is a general hub of innovation, offering an attractive environment for inventors from across the globe to bring their efforts to fruition and, at the same time, for the flourishing of its own home-grown inventions. This is decisive for fostering and maintaining a spirit of innovation from which society as a whole, in every economic region, stands to benefit." Erik Dahlman, Muhammad Kazmi, Robert Baldemair, Stefan Parkvall and team (Sweden, Austria, Germany): LTE network technology for high-speed mobile internet, also known as 4G, consists of thousands of individually patented technologies which together constitute one of the seminal technology standards in the mobile sector. It cannot be attributed to a single organisation, company or individual, but this international team of inventors at Swedish company Ericsson, which holds several hundred patents in the 4G area, has played a decisive role in the invention of LTE network technology. Most importantly, the new network standard makes it possible to surf the internet at high speed using a mobile device. Luigi Cassar and team (Italy): Exhaust emissions are a threat to the environment as well as to health, and can discolour the façades of buildings. Together with his team at Italian cement manufacturer Italcementi, Luigi Cassar developed an innovative new cement mixture that is self-cleaning and improves air quality. Photocatalytic elements (titanium dioxide) in the cement use sunlight to break down pollutants - preventing discolouration while absorbing smog. That essentially results in a self-cleansing process for building façades - and the air. Koen Andries (Belgium), Jérôme Guillemont (France) and team: The world has had to wait 40 years for a new, effective drug to fight (multidrug-resistant) tuberculosis. This Belgian-French team at Janssen Pharmaceutica succeeded in significantly reducing treatment times for tuberculosis and achieving a complete cure within a reasonable period of time. They extracted a molecule that cuts off the supply of energy to tuberculosis bacteria after a short time. The drug can be administered to successfully treat even the multi-resistant form of the disease and has the potential to cure up to 8 million affected people across the globe. Terese Alstin, Anna Haupt (Sweden): The airbag helmet of these two Swedish inventors makes it possible for cyclists to protect their head and still look good. Their development is worn as a kind of ruff around the neck. In an emergency, it releases an airbag that wraps around the head. The invention is already on the market and has promising development potential, as airbag helmets could also be used to protect the heads of epilepsy patients, for example. Peter Holme Jensen, Claus Hélix-Nielsen, Danielle Keller (Denmark): An estimated 1.5 billion people do not have access to clean drinking water. And the industrial sector has a tremendous need for clean water as well, in particular ultra-clean water. The invention of the Danish team of chemists makes it possible to process water in its purest form without consuming large amounts of expensive energy. The aquaporin water filtration membrane takes advantage of the natural water exchange principle between individual cells (osmosis) and the properties of the protein that plays a crucial role in it. Carles Puente Baliarda, Carmen Borja, Jaume Anguera, Jordi Soler, Edouard Rozan (Spain): The multiband antenna made up of fractals that the Spanish team of inventors developed is one of the reasons why we are able to make telephone calls, send e-mails and surf on the internet all over the world. It enables the highest levels of reception capacity even in the smallest cell phone casing. The antenna is hardly any larger than a grain of rice, but it broadcasts radio waves very efficiently on several frequencies in spite of its minimal size. That is why it can handle different technologies such as Bluetooth, WLAN, GSM or GPS. Through licencing agreements, Fractus is a market leader for fractal antennas. Christofer Toumazou (United Kingdom): Thanks to the work of Christofer Toumazou, DNA can now be analysed quickly, even outside of a laboratory. The rapid DNA test he invented is based on a microchip that detects genetic disorders on-the-spot. It can identify every form of genetic deviation in the genome in just a matter of minutes. This makes it possible to detect a predisposition for hereditary diseases as well as to determine whether a patient is capable of breaking down specific drugs. The chip can be mounted on a USB stick, so that results can be quickly viewed on a computer. Thomas Tuschl (Germany): Deactivating pathogenic genes in a targeted manner is no longer utopic thanks to the research of biochemist Thomas Tuschl. 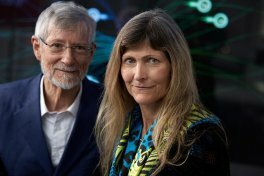 He succeeded in developing a process that makes it possible to "switch off" human genes that may be responsible for diseases. Thus, he created the basis for promising therapies for serious genetic disorders that cause serious diseases such as hemophilia, amyloidosis and porphyria and hypercholesteremia. Philippe Cinquin, Serge Cosnier, Chantal Gondran, Fabien Giroud (France): Cardiac pacemakers save lives, but they have a singular weakness: on average, their battery runs flat after about eight years. As a rule, the entire implant needs to be replaced. This French team of researchers developed a new type of implantable miniature fuel cell that transforms sugar from the body into electricity. This type of life-long power source could obtain its own fuel from the human body and supply power for pacemakers and other implants. Masahiro Hara, Takayuki Nagaya, Motoaki Watabe, Tadao Nojiri, Yuji Uchiyama (Japan): We can no longer imagine day-to-day life without the QR (Quick Response) code that was developed by Masahiro Hara and his team. Among other things, it is used for managing inventory in factories, for administering patient files, for tracking biological samples and even as a marketing tool. The QR code links the physical with the virtual world by means of a smart phone or tablet and the relevant app. When it is scanned, it calls up a website, a location, a video or a text message. Cary L. Queen, Harold E. Selick (USA): Molecular biologists Cary Queen und Harold "Barry" Selick are regarded as pioneers in the area of "antibody humanisation" and have ushered in a new era of targeted treatments against cancer and other diseases. They developed the general technology for creating humanised monoclonal antibodies that are able to modulate disease without being attacked by the immune response of the body. Therapies that make use of this innovation are among the most promising treatment methods in the fight against a variety of diseases including cancer, multiple sclerosis, rheumatoid arthritis, and asthma to name just a few. Charles W. Hull (USA): Charles "Chuck" Hull worked with ultraviolet light with the aim of hardening surface coatings. In 1983 he came up with the idea of using epoxy resin, already used just for coatings, in thin laminated layers, one on top of the other, and etching their shape with ultraviolet light: the electrolytic 3D printer was born. Today, every 3D printer works on the basis of his idea. Hull paved the way for an entirely new branch of industry with his invention. In the meantime 3D printers are used almost everywhere - from the automotive industry to medical technology. Ingeborg Hochmair, Erwin Hochmair (Austria): Today children who are born deaf no longer need to stay deaf for the rest of their lives. The so-called cochlear implant can give deaf people back their hearing by means of electrical stimulation of the auditory nerve. This groundbreaking development was achieved thanks to the work of the Austrian couple Ingeborg and Erwin Hochmair. To date more than 200 000 people diagnosed with profound deafness or severe hearing loss are now able to hear again and recognise human voice thanks to this invention. 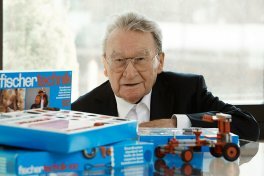 Artur Fischer (Germany): With more than 1 100 patents and utility models applied for or granted, Artur Fischer is one of the most successful inventors of all time. Now 94 years of age, he became famous because of the "Fischer plug", an expanding wall plug named after him, more than 14 million of which are currently manufactured every single day. Another one of his many inventions, for which he earned recognition worldwide, was the first photographic flashgun (and later flashcube) with flash-shutter synchronisation. Wieslaw L. Nowinski (Poland): For more than 30 years, Nowinski has been investigating the brain and its properties. 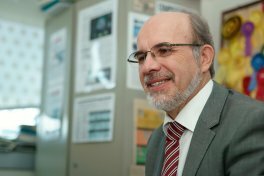 The Polish computer specialist succeeded in creating a three-dimensional image of the anatomical structure of the brain and analysing it for clinical practice. Thanks to his work, disorders and diseases of the brain can be pinpointed faster and treated in a more targeted fashion, and planning for complicated brain surgery can be improved. Working on the basis of incredible masses of data and images, he has developed more than 30 brain atlases, which are currently used by a large number of researchers and doctors all over the world. Launched in 2006, the European Inventor Award is presented annually by the European Patent Office. The Award honours inventive individuals and teams whose pioneering work provides answers to the challenges of our age and thereby contributes to social progress, economic growth and prosperity. Fifteen finalists and, subsequently, the winners are chosen from among the nominees by a high-profile international jury which includes experts from business, politics, media, academia and research. The Award is presented in five categories: Industry, Research, Small and Medium-Sized Enterprises (SMEs), Non-European Countries, and Lifetime Achievement. The general public is also invited to vote online to select the winner of the Popular Prize from among the 15 finalists from 6 May.